The British-born, New Zealand-raised rapper of Nigerian descent, Unchained XL, had a difficult time making sense of his complicated identities growing up. Born Hugh Ozumba, the multi-talented musician took piano lessons as a kid, followed by a stint in a rock band before venturing into a genre of hip-hop that both tapped into his heritage and "confronted the confusion" he was feeling. His unique sound comes from fusing the different kinds of music he had heard growing up in his household including "high life." The result has been music that speaks to the migrant experience and the complex political social issues that people of color face in New Zealand. The name Unchained XL combines the artist's love for the movie Django Unchained as well as the continuous affirmations that he'd receive growing up, telling him that he'd excel at whatever he put his mind to. Also, at 6'4" and 115 kilos he's a pretty big guy. The rapper's new EP The Migrant Mind is a poignant piece of protest art packed with profound messages meant to provoke critical thought. "When I start to see and hear stories of people resonating, especially migrants, African migrants, that's really something." "It was difficult for me to establish my Nigerian identity." says Ozumba. "Growing up I found it very difficult to fit in because I didn't know where I was, even when my family would take our periodic trips back home to Nigeria. I wouldn't fit in there for obvious reasons." Ozumba's music has been met with quite a bit of resistance from native New Zealanders as it unabashedly goes against the mould of mainstream hip-hop in a country where migrants still make up a tiny fraction of the entire population. "The traction of my music here in New Zealand has been slow," he says. The rapper goes on to speak about how the single My Only Home, has resonated with the migrants that are in New Zealand. "When I start to see and hear stories of people resonating, especially migrants, African migrants, that's really something." He continues, saying, "When I start hearing people saying that a song really spoke to them or that it put their feelings in a way that they couldn't vocalize themselves previously, that's success for me." My Only Home has haunting and nuanced references particularly to the ongoing Syrian refugee crisis. British rapper, Genesis Elijah, who features on the track, alludes to America's treatment of migrants and refugees when he says "they don't care and tried to make it fashion" while Ozumba himself speaks about the "bodies being washed up on the shore". The single's recent release tragically coincided with the terrorist attack in Christchurch. "I was obviously very heart broken," the rapper says about the Christchurch attack. "I've got a lot of friends that are Muslim, but I'm also part of the Nigerian community in New Zealand. I guess that struck me that as much as this was a tragedy against the Muslim community, it was also an affront towards several migrant communities, including my own." In light of the heavy and at a times tragic themes his music highlights, Ozumba has an almost sacred relationship with music and refreshingly so. He describes it by saying, "Music is a spiritual thing. You don't play with music. I'm constantly asking myself whether I'm giving it the amount of honor and respect, the spirit that it merits." He goes on to add that, "Thinking really challenges me to step away from the side of music that I guess cheapens it and makes it more of a commodity." Ozumba says that the evolution of his music will most likely be concurrent with his evolution of self. He wants to learn more of his native Igbo tongue, and continue to deconstruct the toxic idea of "otherness" that often shrouds the migrant community. He doesn't plan on holding back any punches in terms of the messages entrenched in his music, although the thought has crossed his mind at one point. "I have felt that there's this push to make my music more "digestible". But then, there's a very strong part of me that's saying that's not who I am so I just have to stay true to myself," he adds. While he's been labelled by local media as an Afrobeats artist, Ozumba says that he distances himself from that description. He's still trying to name his particular brand of hip-hop. While there are a few artists like M.anifest dabbling in that genre, the mixture of high life, Afro-roots music and hip-hop is still a space with very few musicians. 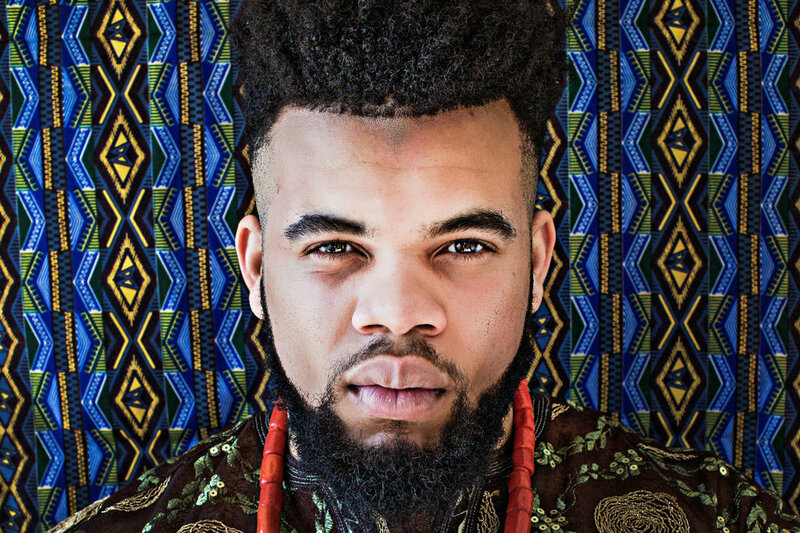 Asked about the top three artists with whom he hopes to eventually collaborate, Ozumba lists Nigerian rapper M.anifest, Nigerian-American musicians Jidenna and Tobechukwu "Tobe" Nwigwe. In a world constantly dehumanizing migrants and vilifying their mere existence, Unchained XL's music is important in providing a voice for migrants and allowing their own lived experiences to be communicated to the broader society. Listen to Unchained XL on Spotify and follow him on Twitter and Facebook.